We have the equipment to meet your requirements. 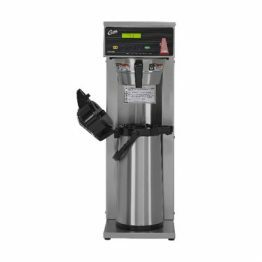 Whether you're brewing for restaurant table service, a hotel lobby, or even a convenience store, this Curtis 1.5 gallon coffee satellite brewer makes it easy to produce finely-crafted gourmet coffee every time! The thermal servers protect the flavor of your coffee, is designed to keep your coffee hot for hours. 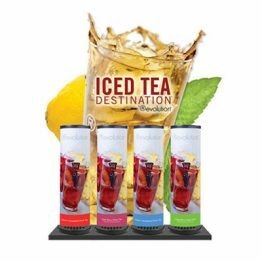 Our brand new Java Creations™ LED backlit graphics convey indulgent, premium product imagery, sure to drive customer trial. 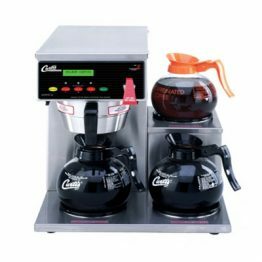 This Curtis pot brewer is the simple and efficient method to create the full coffee shop experience at your location. 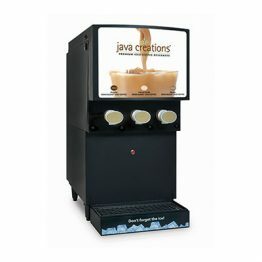 This dispenser adds the perfect amount of water at the optimum temperature to make your favorite coffee taste great every time. 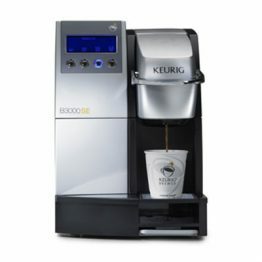 Introducing, the CX-3 from Newco, your personal barista for specialty coffee drink in the workplace. 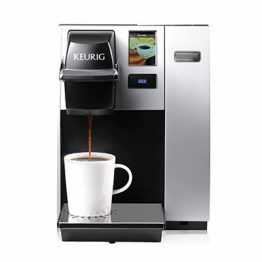 Enjoy delicious coffees, teas, lattes, cappuccinos and more with the press of a button and all in under one minute. There's never a reason to leave the workplace for great tasting coffee or specialty drinks again. 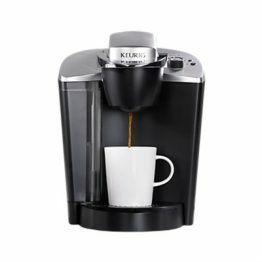 Choose from up to five programmable recipes (Coffee Mild, Medium, Bold, Espresso and Iced) for brewing your drink just the way you like. NESCAFÉ Milano 2.0 commercial espresso machine brews a variety of consistently delicious specialty coffee beverages in under a minute. 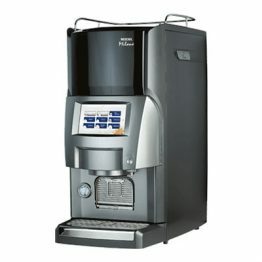 Prepare perfect espressos, delicately layered lattes, or rich, chocolaty mochas with push button ease. Each rich and irresistible barista-style beverage is made-to-order with fresh, high-quality ingredients. This de Jon Duke brewer makes fresh single cup hot beverages from the very finest of ingredients. The Virtu offers Coffee shop quality black coffee and a full selection of specialty beverages like Espresso, Hot Chocolate, Cappuccino, Latte, and Macchaito. The unwavering commitment to quality that Starbucks offers is now available to your customers & employees—one freshly brewed cup at a time. 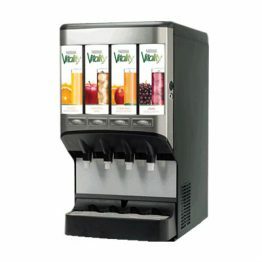 Refreshing, sanitary and efficient way to serve ice and chilled water for 30+ users. NESCAFÉ Alegria 100% coffee and our coffee dispensers deliver full-bodied flavor and fresh-ground aroma at the press of a button. 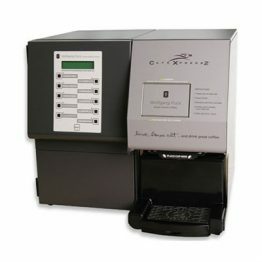 Our dispensing solutions will save you time, labor, and budget without wasted coffee or spent coffee grounds to dispose. From farm to cup, NESCAFÉ Alegria offers unbeatable operational efficiency, offering consistency time after time. 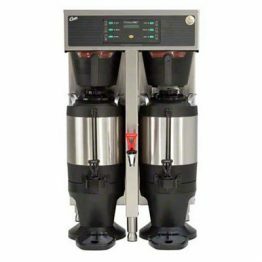 This Curtis air pot brewer is the simple and efficient method to create the full coffee shop experience at your location. 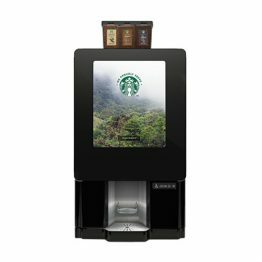 This dispenser adds the perfect amount of water at the optimum temperature to make your favorite coffee taste great every time.